Legendary professor and theoretical physicist Stephen Hawking died this week at age 76. 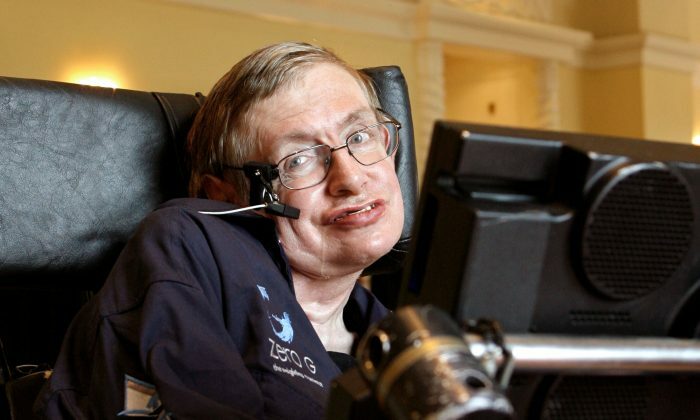 Hawking died peacefully at his home in Cambridge on March 14, his family said. Hawking knew for a while what he wanted to be engraved on his tombstone. The Cambridge professor said he wanted what is known as Hawking’s equation. The equation contains all of the most important elements of Hawking’s most important discovery, expressing the idea that black holes weren’t entirely black after all, instead they emit a glow that would become known as Hawking radiation. “In particular, I wondered, can one have atoms in which the nucleus is a tiny primordial black hole, formed in the early universe? To answer this, I studied how quantum fields would scatter off a black hole. I was expecting that part of an incident wave would be absorbed, and the remainder scattered,” he wrote in 2002, during the celebrations of his 60th birthday. “But to my great surprise, I found there seemed to be emission from the black hole. At first, I thought this must be a mistake in my calculation. But what persuaded me that it was real, was that the emission was exactly what was required to identify the area of the horizon with the entropy of a black hole. I would like this simple formula to be on my tombstone,” he continued. According to Mashable, the equation is so influential because it starts bridging the gap between physics and quantum physics. In his tribute to Hawking, astronomer Sir Martin Rees wrote that Hawking radiation has had very deep implications for mathematical physics. “It is still the focus of theoretical interest—a topic of debate and controversy more than 40 years after his discovery. Indeed the Harvard theorist, Andrew Strominger (with whom Stephen recently collaborated) said that this paper had caused ‘more sleepness nights among theoretical physicists than any paper in history,” Rees wrote.